Wine and Management Programme students have graduated! 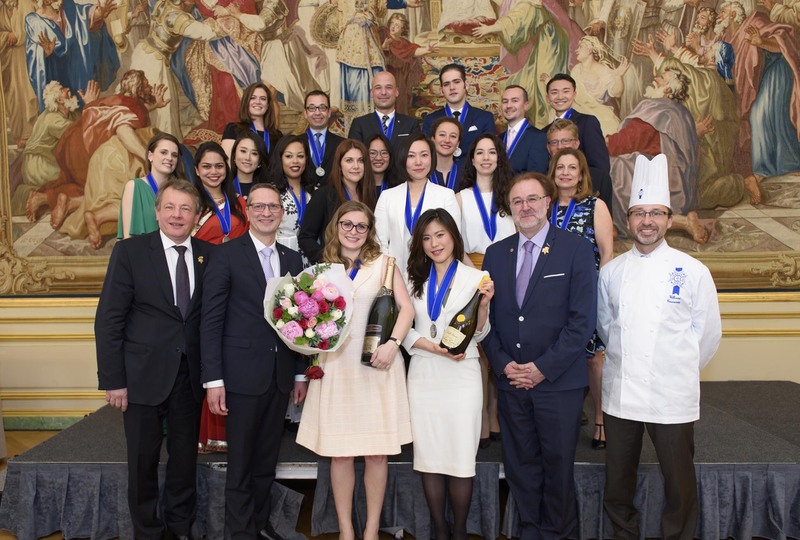 The graduation ceremony, for the 5th session of Le Cordon Bleu Paris institute Wine and Management Programme, took place on Monday 6 June 2016 at the “Cercle de l’Union Interalliée” with the graduates’ families and friends. Philippe Faure-Brac, who played a major role in the students’ year by taking part in conferences and tastings with them, was delighted to take on the role of class patron for the class of 2015-2016. Philippe Faure-Brac won Best Sommelier of the World in 1992 and was awarded the honorary title of M.O.F in 2015 at the Sorbonne. 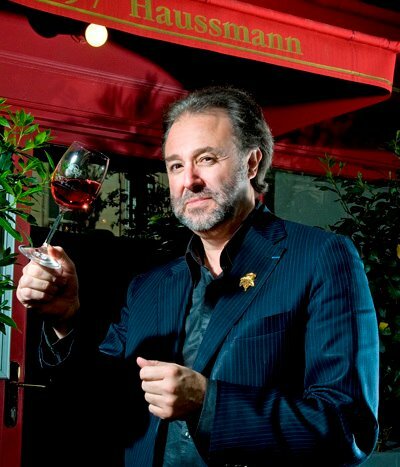 In 1984, he opened le Bistrot du Sommelier in Paris, a wine-focused restaurant which he has been running ever since. He was in charge of the wine selection for the airborne cellar of Air France for seven years. He also put his name to wine list for the French pavilion for the 2015 Universal Exposition of Milan. He has been the president of the Meilleurs Ouvriers de France Sommelier contest since its creation in 2000.
panel for La Revue du vin de France. He is also on air every weekend alongside Alain Marty in “In vino BFM” a weekly wine show on BFM Radio & TV. He is the author of ten books published by EPA-Le Chêne, including ‘La Cave idéale’ and ‘Le Livre de cave’ in 1998, ‘Les Grands Vins du siècle’ in 1999, ‘Bordeaux, le choix du Sommelier’ in 2000, Exquisite matches’in 2002, ‘Vins et mets du monde’ in 2004, ‘Comment goûter un vin’ in 2006, ‘Comment faire sa cave’ in 2010, ‘Tout sur le vin’ in 2012 and a board game ‘VINITOUR’ in 2014. We share all the contacts, experiences, pleasures of true wines and I am proud to have you as my colleagues. You are now ready to continue your training by yourself. Thank you again, I wish you the best, hoping that you will come back to us and you will keep a nice memory of France, Paris and Le Cordon Bleu. Le Cordon Bleu congratulates all new graduates and we wish them a very successful future!